NERC Issues Proposed Guidance for Transition from CIP Version 3 to CIP Version 5 July 17 – NERC issued proposed transition guidance for use by regional and responsible entities when transitioning from version 3 to version 5 CIP standards. The guidance notes that NERC will be preparing a Transition Study on selected entities’ experiences implementing CIP version 5 standards. Industry Files Comments To Support Delay of CIP Version 4 August 5 – ISO/RTO Council (IRC),International Transmission Company, Duke Energy, PSEG, NRG and PHI Companies each filed comments supporting delay of the April 1, 2014 deadline for complying with NERC’s Version 4 of the CIP Reliability Standards. FERC Technical Conference Addresses Reliability in the California Wholesale Markets July 31 – FERC held a Technical Conference to address potential reliability concerns caused by the risk of retirement of conventional generating units in California as the state transitions to a 33 % renewable portfolio standard. The Conference was convened to examine a joint CAISO/California Public Utilities Commission (CPUC) proposal to revise the CPUC’s resource adequacy program and CAISO’s capacity procurement mechanism tariff provisions to develop “a durable, market-based mechanism to provide incentives to insure reliability needs are met.” Witnesses’ written testimony is available here. FERC Extends Time for Order on Rehearing of BES Definition August 7 – FERC issued a tolling orderextending the time for its consideration of a request for rehearing filed by two northwest entities. The entities sought rehearing on jurisdictional grounds of FERC’s decision to delay the effective date of the definition of the Bulk Electric System to July 1, 2014. FERC Extends Time Ruling on RFC Spreadsheet NOP July 30 – FERC notified NERC and Reliability First Corp. (RFC) that it had granted itself additional time to consider whether to review on its own motion settlements with ten FirstEnergy affiliates that resulted in a “zero dollar penalty.” Absent action by FERC, the settlement agreements would have become final on August 26. NERC Files Analysis of North American Standard Process (Ballot) Results 2Q 2013 July 30 – The filing is available here. NERC Postings – NERC recently posted (1) Final 2014 Regional Entity Business Plans and Budgets; and (2) a Draft Security Guideline for the Electricity Sub-Sector: Physical Security Response. NERC Penalties July 31 – NERC filed with FERC (1) five new Notices of Penalty (NOP) and (2) a spreadsheet NOP resolving 46 separate violations. NERC did not make a July Fix, and Track filing. White House Addresses Incentives for Cybersecurity August 6 – The White House Cybersecurity Coordinator Michael Daniel published a blog post addressing possible areas of incentives for critical infrastructure to adopt the voluntary cybersecurity framework currently being developed by NIST. The Department of Homeland Security, Commerce, and Treasury coordinated the release of interim reports on incentives. Rockefeller, Thune Introduce Cybersecurity Standards and R&D Bill July 24 – Senators Jay Rockefeller and John Thune, the Chairman and Ranking Member of the Senate Commerce Committee, introduced the Cybersecurity Act of 2013, a bill that would codify the voluntary NIST-led cybersecurity standards development process that President Obama’s recent cybersecurity order set in motion. (See our previous update on the cybersecurity order.) According to the Commerce Committee, the bill would also encourage better cybersecurity research collaboration across the federal government, “improve the cyber workforce and cyber education,” and “increase the public’s awareness of cyber risks and cybersecurity.” The bill does not authorize any funding for these programs. Nor does it seek to address whether NIST standards could one day become mandatory and enforceable, or how to encourage more robust threat information sharing between private industry and government. The bill was approved by the Committee at a July 30 markup, and may be voted on by the full Senate later this year. Honeypot System Suggests Hackers Targeting Industrial Control Systems August 1 – According tomedia reports, researchers who established a network of honeypot industrial control systems (ICS) designed to attract hackers documented 74 attacks against ICS, 10 of which can be considered critical and could have compromised the integrity of a virtual water pump. The researchers found that a majority of the non-critical attacks (those that would not have severely affected the target) originated from Russia, while half of the critical attacks came from China. WECC Releases its 2012 State of the Interconnection Report July 22 – WECC issued its second annual State of the Interconnection Report. WECC’s report broadly highlights the continued shift in generation resources occurring in the Western Interconnection – namely, the increase in gas-fired generation and wind and the decreasing dominance of hydropower generation as a percentage of the overall generation mix in the Western Interconnection. 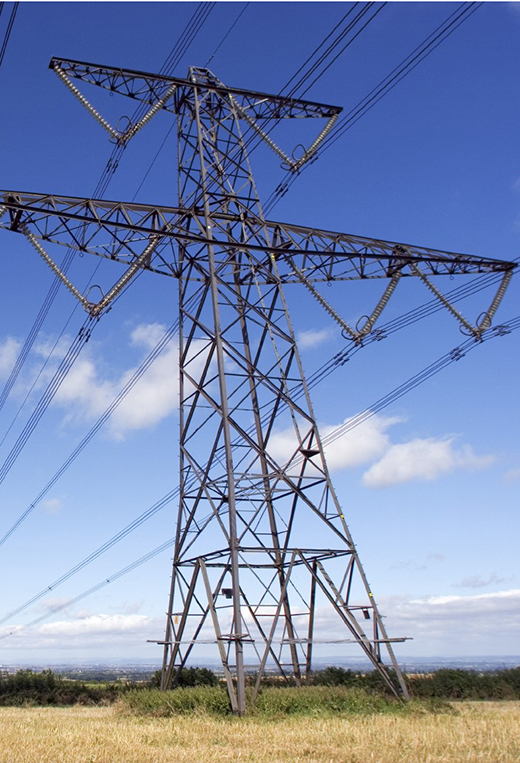 Additionally, WECC’s report presents a detailed evaluation of data collected for the Western Interconnection, including information on load growth, unplanned generation outages, resource capacity, transmission expansion, and other similar information.